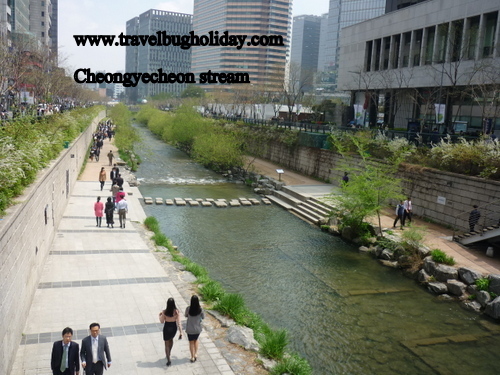 If you come to Korea, you must visit the Cheongyecheon stream. 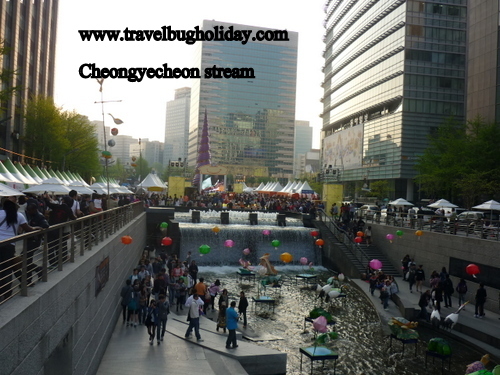 In my opinion, the best part of the stream is at the start at Gwanghwamun’s Cheonggyecheon square/plaza. 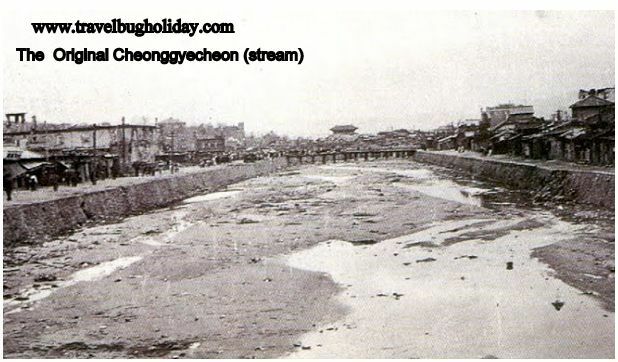 In the 20th century, however, the stream became on open sewer, especially after the Korean War, when migrants formed dense shantytowns along its banks. The government covered it with concrete in 1958; an elevated highway was added in the 1970s. See a photo of a photo I took at the city hall. 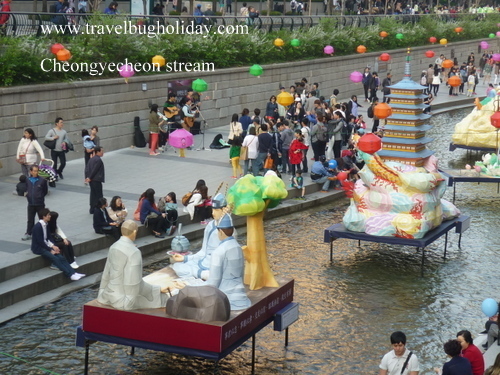 This stream is now a beautiful and peaceful area to meditate, enjoy your partner’s company of a family outing. 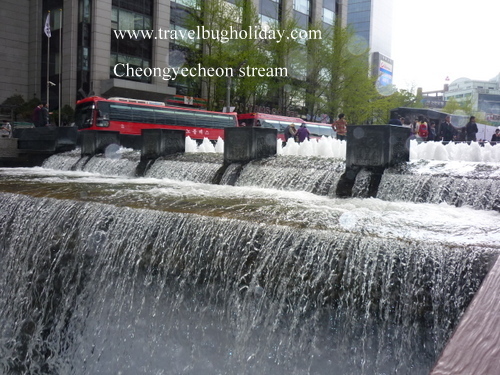 Many Koreans and tourist really enjoyed this place of natural beauty amidst the hustle and bustle of city life. It is remarkably very quiet because the stream is more than 15 ft. (4.6 m) below street level. You can enjoy the view of the stream from the road or next to the steam. It is absolutely beautiful with many small waterfalls, and nearly two dozen overhead bridges. 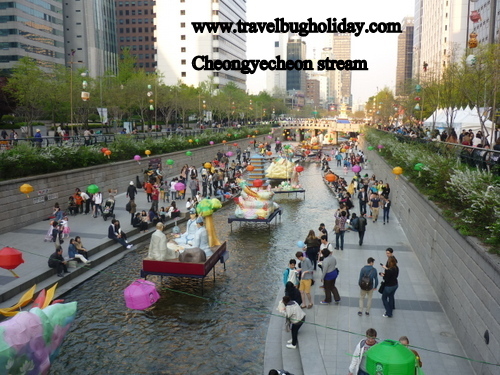 As you walked along the stream, from Gwanghwamun’s Cheonggyecheon square/plaza to the Sindap Railway Bridge, a total of 5.8km (approximately 4hr round trip at a fast pace), you can cross a few suburbs as you walked along the stream. 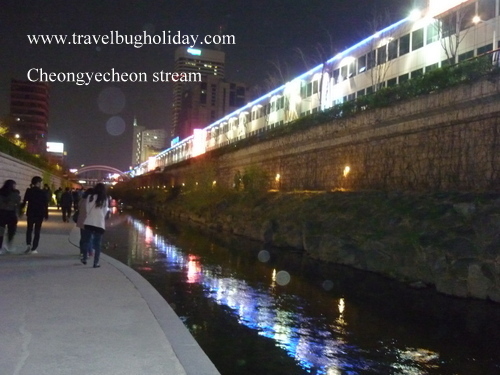 For example, you can choose to exits to Jongno, Insa-dong or Dongdaemun.They are just very closed to each other. One thing to note as you walked along the stream. 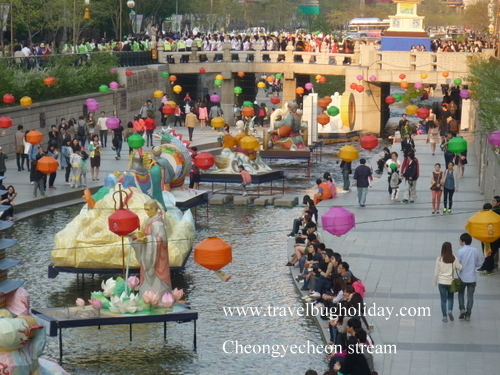 Note the change of buildings along the way, from the newer skyscrapers around Gwanghwamun to the older, grittier neighborhoods around Dongdaemun Market.